Comedian, actor, impersonator and ... heavy metal rocker? 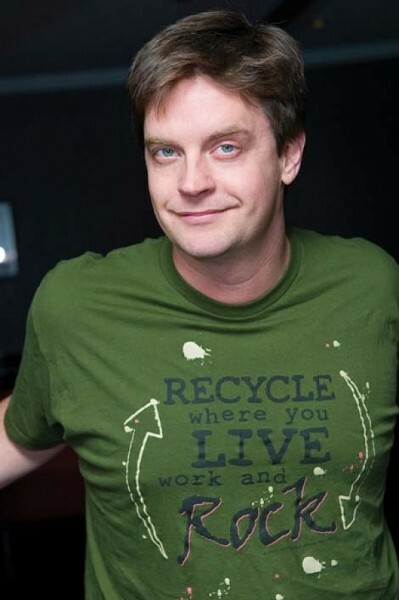 Put a microphone near Jim Breuer’s mouth, and you’ll swear that he could be the frontman for any long-haired, grimy, metal band. He doesn’t look like a rocker, though—more like a lifelong stoner. Either way, he appeals to those “other” blue-collar folks: the ones who would rather work on an engine than a ranch. His time on Saturday Night Live (remember Goatboy and The Joe Pesci Show sketches?) and movies like Half Baked stamped his insane laugh and dopey antics firmly in our memories, and his hugely popular Sirius satellite radio show has found him scores of new fans. Whether he’s on a stage or in a studio, Breuer’s stories make you feel like you’re back in high school with the funniest guy in class. His more recent adventures as a married man and father of three young girls are just as hilarious to listen to as his Metallica tour bus stories, for those of us, like Breuer, with a few more bags under our eyes.